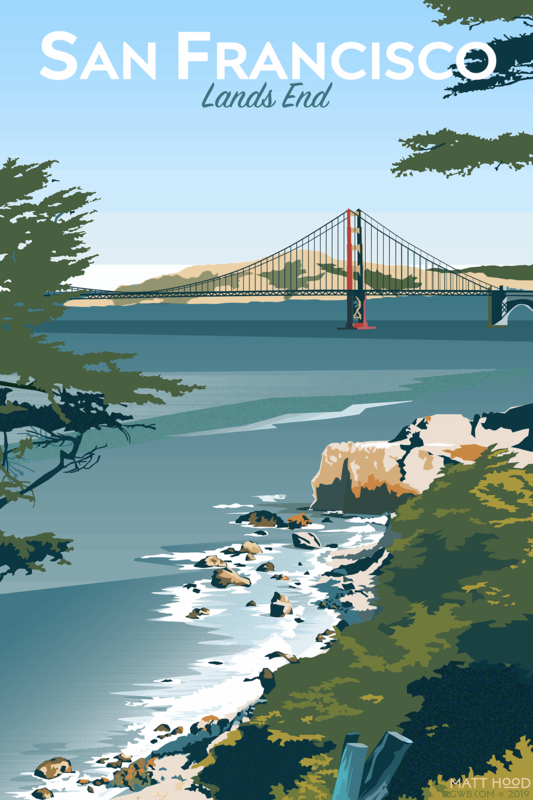 Matt Hood’s series of vintage-inspired travel posters visits the West Coast with this view of the Golden Gate Bridge from San Francisco’s Lands End. 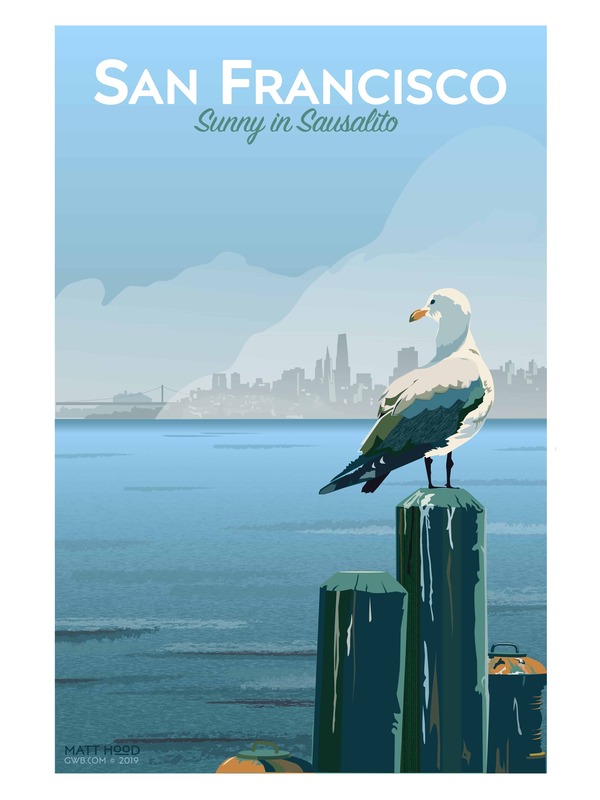 Like this poster? Check out this one, too!